The law firm of Platt & Westby, P.C., was created in 1973 by merging the practices of Harvey B. Platt and Peter H. Westby to establish a comprehensive and innovative law practice that could meet most of the legal needs of families and businesses in the Phoenix areas we serve. Platt & Westby, P.C., has recruited a resourceful and highly experienced team of lawyers, paralegals, legal secretaries and investigators. We are proud of our ability to provide efficient and top quality legal representation with the high caliber Phoenix, Arizona lawyers our firm attracts. We are also proud to be a firm that has longevity with our staff. One of our staff members has been working with us for almost 23 years! 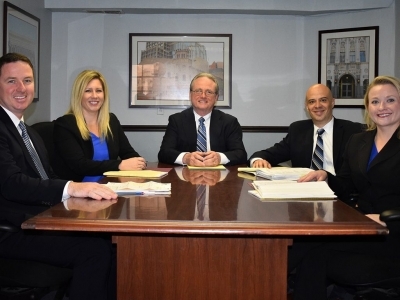 All of our attorneys have many years of legal experience and have demonstrated track records of success. They have a profound understanding of their area of legal focus and often have personal experience in that area as well. For example, in the area of real estate and business law, partners Harvey Platt and Peter Westby are themselves small business owners as well as real estate investors, landlords and property managers and have been so for nearly 40 years. Peter Westby is a licensed real estate salesperson and Harvey Platt was a title examiner prior to entering the practice of law. We hope to be your "go to" law firm being able to help in areas ranging from starting a business to filing bankruptcy and even negotiating a divorce settlement. It is no coincidence that Platt & Westby, P.C., have been doing business for almost 40 years helping people around the valley. Platt & Westby, P.C., is a staple in the business community. We welcome people to come consult with our experienced and knowledgeable attorneys face to face without charge for the initial meeting. We strive to meet our clients' goals with ethical and honest behavior. We value our clients and have an open door policy that serves to promote communication between our attorneys and clients. We believe in developing a long-lasting and trusting relationship with our clients. We are so dedicated to our clients that we have expanded our office to serve more locations for our clients convenience around the Phoenix area, including Avondale, Arrowhead, Tatum and Cactus, and Gilbert/Chandler/Mesa. We invite and encourage you to contact our office or call 602-277-4441 to meet with one of our Phoenix, Arizona lawyers to discuss your legal need. We look forward to speaking with you.